Our firm is providing Inverter Renting Services to our customers. In this service, we provide inverter on rent. We provide different types of inverter that meet on patrons demand Due to timely implementation, flexibility and consistency, these are extremely demand. Moreover, we finish this service at nominal prices. We are one of the leading providers of UPS System On Rent that are available at most affordable rates for our esteemed and highly respectable clients. We offer well checked and technologically advanced inverter systems to the clients on a rental basis for the time as per clients’ specific requirements and demands. We provide Welding Inverter Rental Service to our patrons at nominal costs. This service is enormously admired by patrons owing to their stress-free completion and reliability. These services are rendered by industry capable professionals who work in proficient way to render this service within prearranged time frame. Owing to the wide experience of this domain, we are instrumental in providing Inverter Rental Service. Quantum Power Systems can meet your short or long term UPS, Inverter and Battery needs through our rental and lease programs in region Rental systems include delivery, installation, start up and any maintenance that's required. 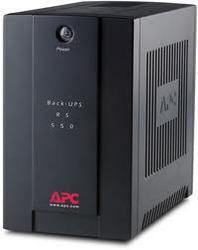 1 KVA online to 10 KVA online UPS available with 1 Hr Backup. Our company is a master in providing Inverter Rental Service. GPPL offers on rent different capacity inverters; customized to clients’ individual requirement for reliable emergency power back up for the periodical needs; supported by assured minimum delivery period and timely care for scheduled / routine maintenance services. We offer Inverter on rental basis for use in households/ shops and offices. These Inverter are available in a wide range of capacity starting from 600VA. We are mainly looking for queries from Mumbai. C. P. Agarwal & Co.